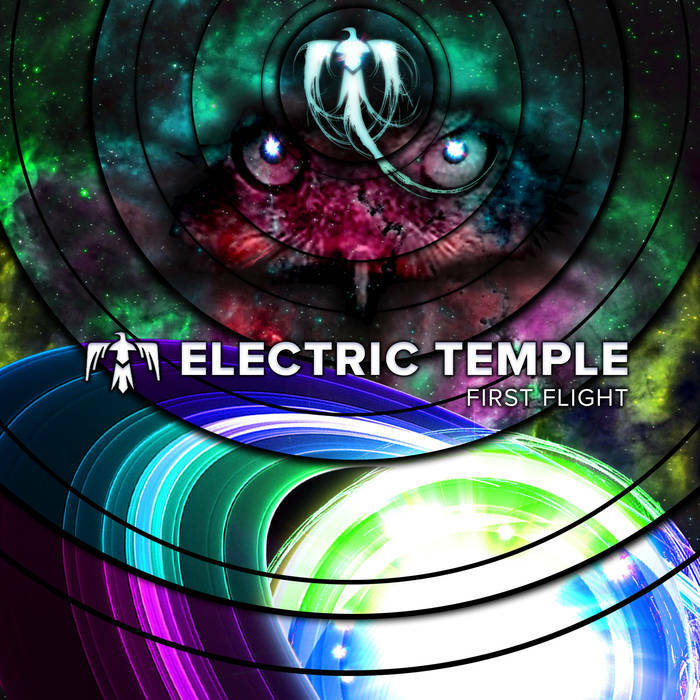 Electric Temple is a stoner/progressive/psychedelic rock band from Alexandria, Virginia. Wild guitar solos, complex bass lines, technical drumming, nothing is held back at all. From the first track to the last, this album has hard rock sound with some intricate songwriting. Anyone that’s a fan of classic rock, 80’s metal, thrash or stoner rock will definitely enjoy first flight. The layered soloing on Haze Daze is great to hear, and every member of this band is capable of stealing the show in any of these tracks. Forgotten Low is my favorite song. There’s something very dark about the composition here. The descending chords, the low pitched chanting in background, it’s all very atmospheric. Electric Temple is a band that’s capable of using their sound to create so much varying and unique tracks. Each song is full of slick leads, the bassist keeps the rhythm but also takes them to anywhere he wants on the fretboard. Not to be left behind on anything, often the bass will follow the guitar through even the most complex riffs. I’m reminded a lot of bands like Sleep, Electric Wizard, Black Sabbath, Clutch, and Wolfmother. Blood Eagle is my favorite track of this EP. Starts out with a drum solo, which is always a great way to open any song. The verses are bass heavy, the chanting comes back in the chorus, and there’s a lot of crazy shredding throughout. The bass and drums work together so well. The guitar can drift in and out as it pleases, this is a tight band. All of the members work together so well, it’s very clear on listening that this band has great chemistry. Although there’s only five tracks on First Flight, the shortest track clocks in at 4:41. There’s a lot to hear on this EP, and it’s clear to me that Electric Temple will have a lot of great music coming out in the future that I’m excited to hear.